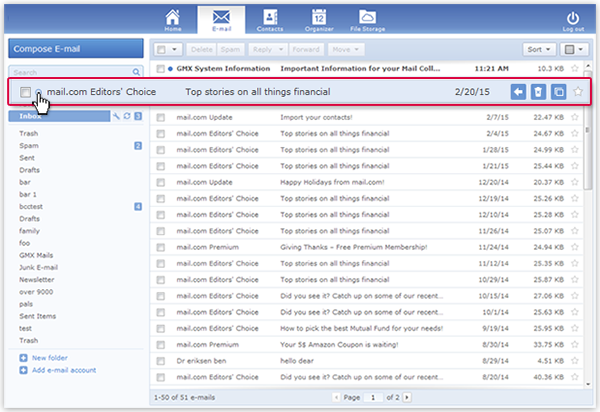 Use the buttons inside your mailbox and mark your e-mail easier as spam, read or favorite to manage your e-mail more precisely. Select the e-mail in the inbox. The e-mail will then be moved into the Spam folder. Future e-mail by that sender will automatically be considered spam. How to mark an e-mail as "No Spam"
Select the e-mail in the Spam folder. Click the No Spam button. The e-mail will then be moved into the Inbox folder. 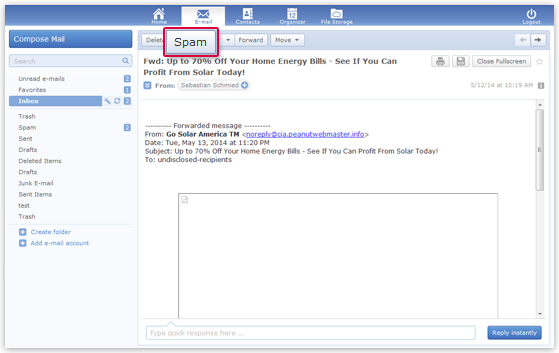 Future e-mail from that sender will no longer be considered spam. 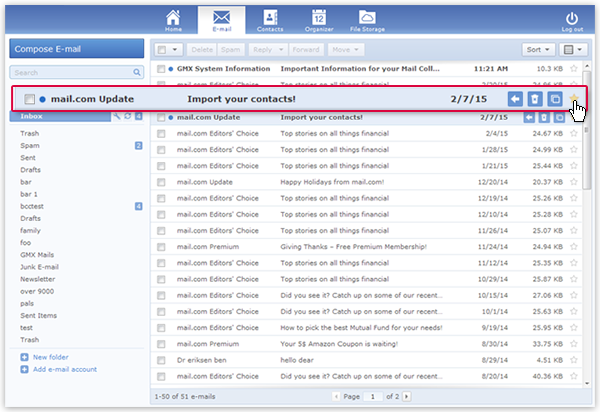 How to mark an email as "Read"
Move the mouse pointer over the unread e-mail. Click the circle before the sender name. The sender name and date are no longer in bold. 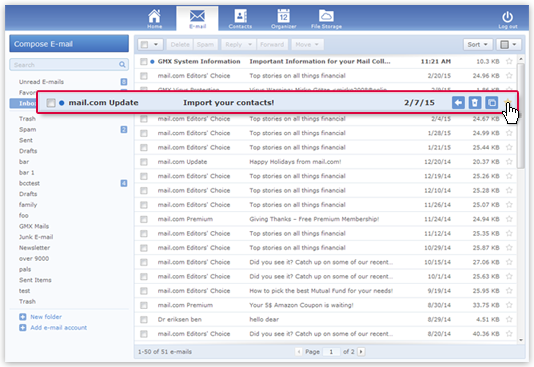 The e-mail will no longer appear in the Unread email view. Move the mouse pointer over the read e-mail. The sender name and date are in bold. 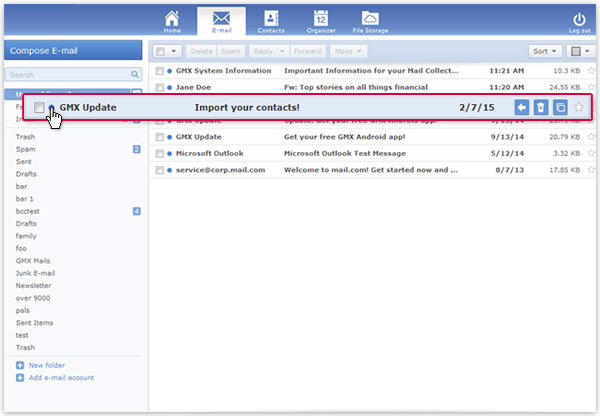 The e-mail appears in the Unread e-mail view. Move the mouse pointer over the appropriate e-mail. Click the star to the right of the sender name. The e-mail appears in the Favorites view. The e-mail no longer appears in the Favorites view.